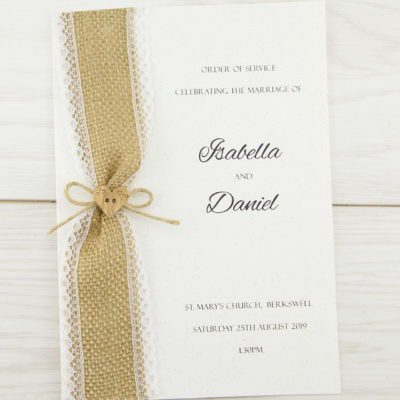 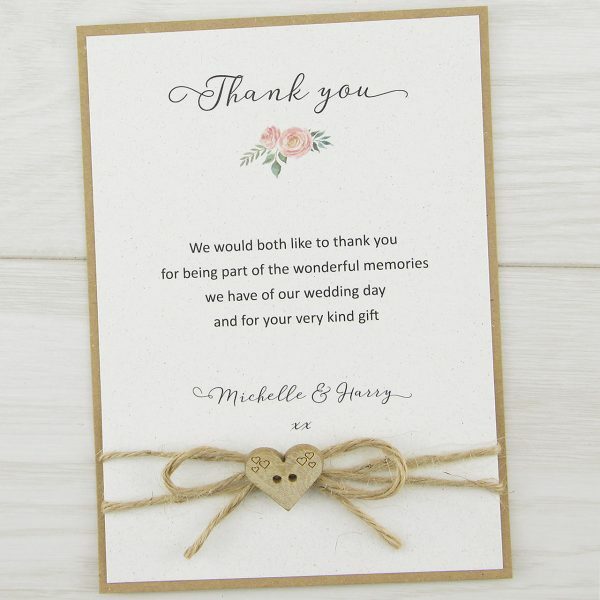 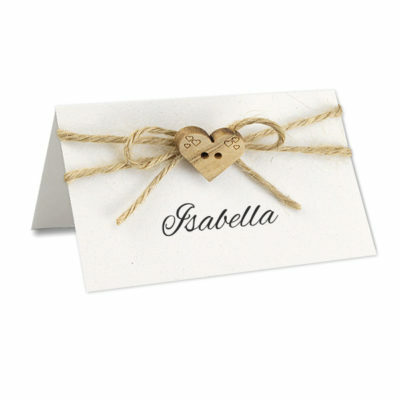 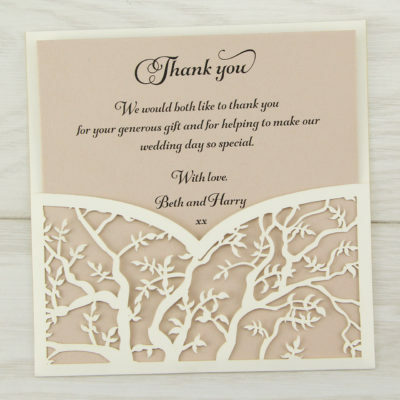 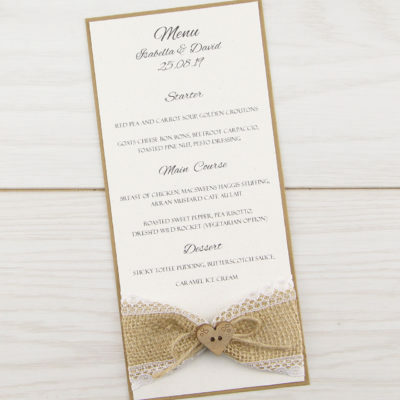 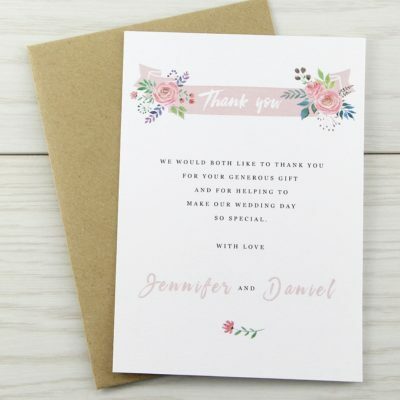 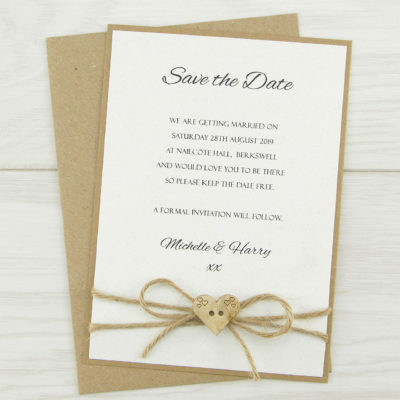 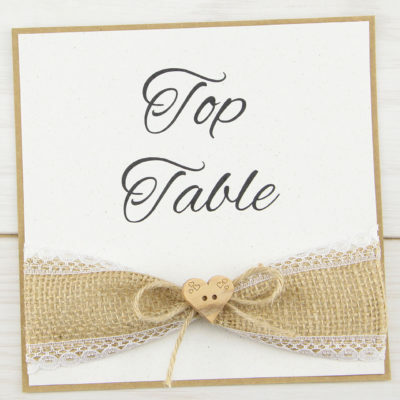 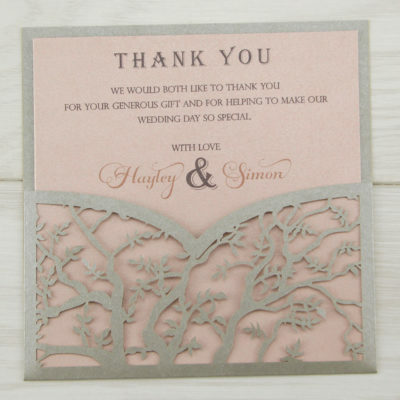 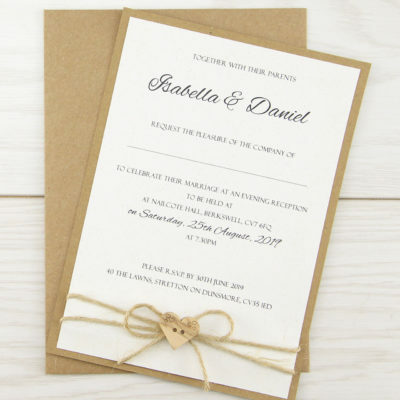 The Beatrice thank you card features printed flower, a hand-tied twine bow and a beautiful rustic heart button. 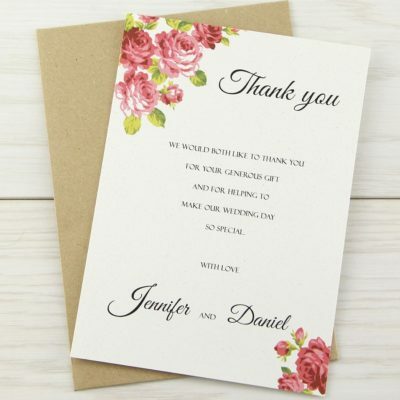 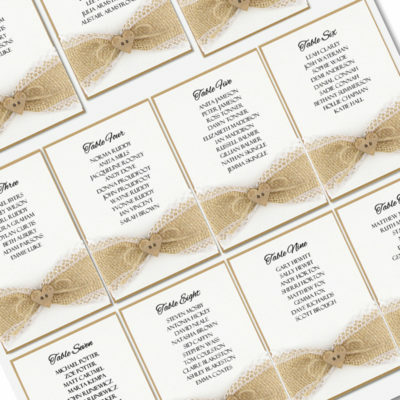 Send a personal thank you note to your guests. 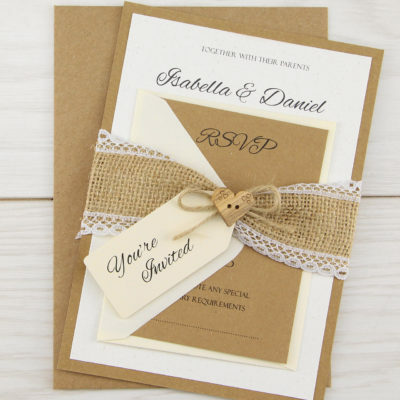 Kraft base card, twine, button, envelope and one printed insert, kraft envelope.